Kumudranjan Mallik (1883-1970) was a writer and poet of Rabindra era also he was known as a poet of rural. His poetic was developed in childhood. Rural people and the nature of the main topics of his poetry. His written poetry Reflects the beauty of the secluded and simple life of rural. 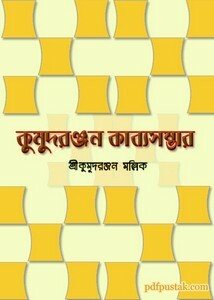 His notable works are Ujani, Banotulsi, Satadal, Ektara, Banomallika Ajoy, Swarnasandhya etc. This poetry book has 440 pages with 13mb pdf.